Though I’m not technically a Florence local, I did live there for a couple of summers during my college years and I have a Florence library card, so that sort of counts (right?). In a town as small as Florence, you don’t need to live there long to learn the pro’s and cons. 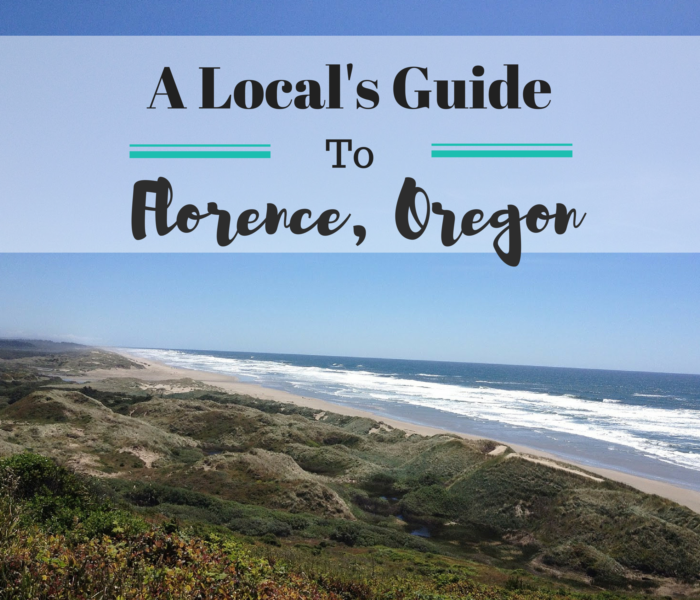 If you’re planning a visit to Oregon’s central coast, below are my top things to do and places to drink + dine in Florence. 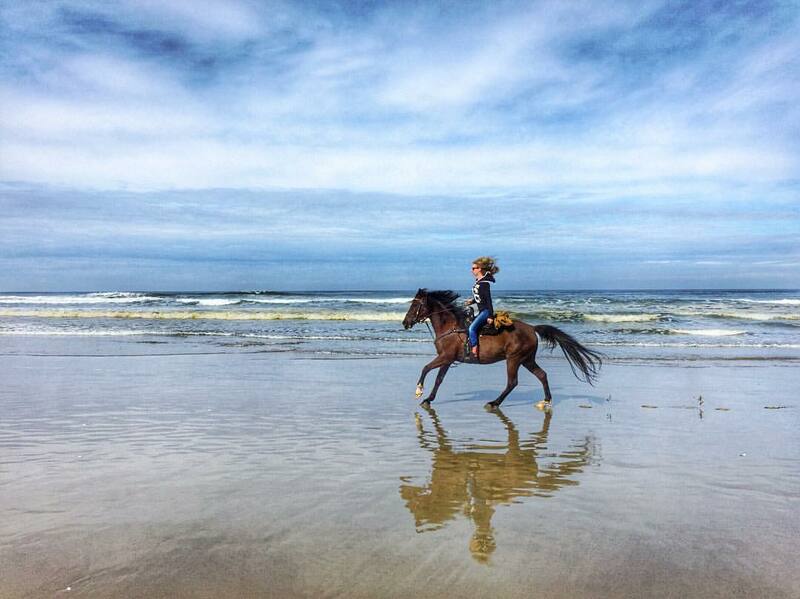 Ride horses on the beach with C&M Stables. 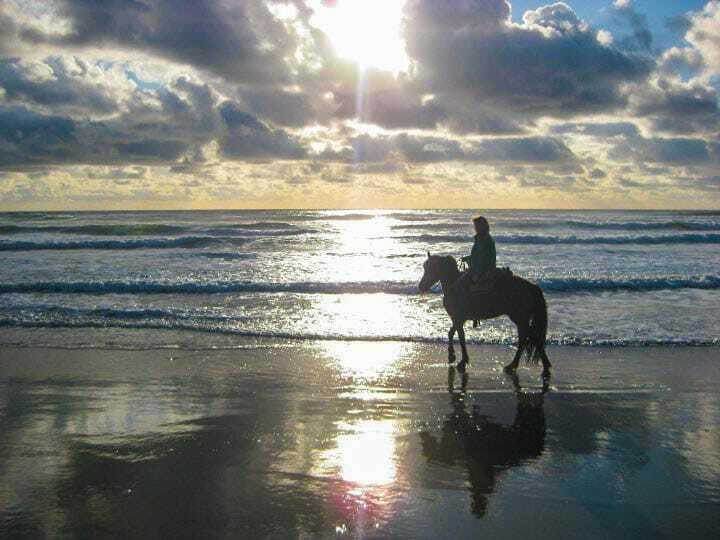 Located about 8 miles north of town, C&M stables offers guided beach and trail rides. The beach ride takes you through trails and over sand dunes until you arrive at the beach. Tip: Regardless of how warm it is in town, bring a jacket. Florence beaches are notorious for being windy and chilly. 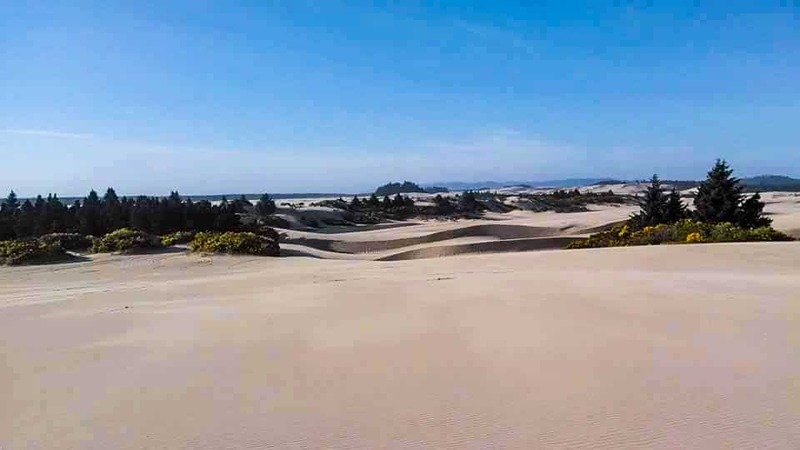 Bring your own ATV, rent a quad, join a dune buggy tour, or rent a sandboard. Whichever way you choose to play in the sand getting out on the dunes is a definite must when visiting Florence. Though there are several great beaches in Florence, my favorite is South Jetty County Park. Tucked away between the jetty and dunes, this beach is a bit of a drive, but well worth it. The desolate area and long stretch of sandy beach is very peaceful and generally free of crowds or tourists. If you’re looking for something that’s a bit easier to access, Heceta Beach (a few miles north of town by Driftwood Shores) is also great. Visit Florence’s Historic Old Town District and stroll down Bay Street. 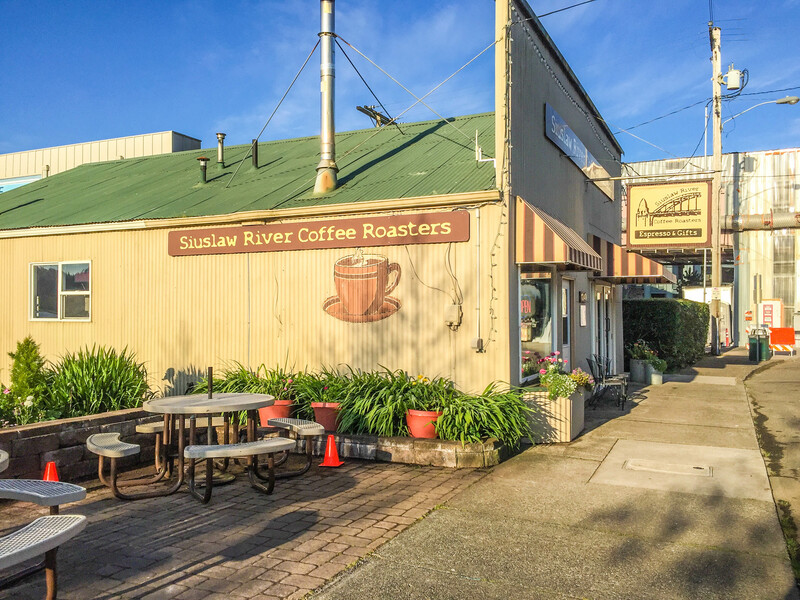 Lined with a handful of quaint shops, restaurants, art galleries and coffee shops, Bay Street boasts views of the Siuslaw River, as well as a collection of gardens and historical buildings. TIP: Be sure to seek out Gazebo Park – a small and somewhat hidden park tucked away off Bay Street that features a bench, small dock, and an intimate gazebo (as the name suggestions). 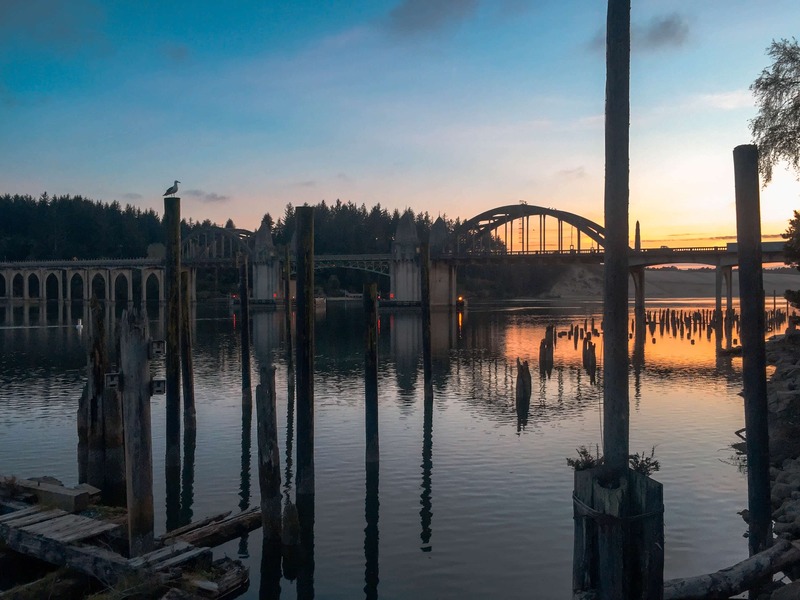 Here you’ll enjoy one of the best (and most Instagram-worthy) views of the Siuslaw River Bridge. 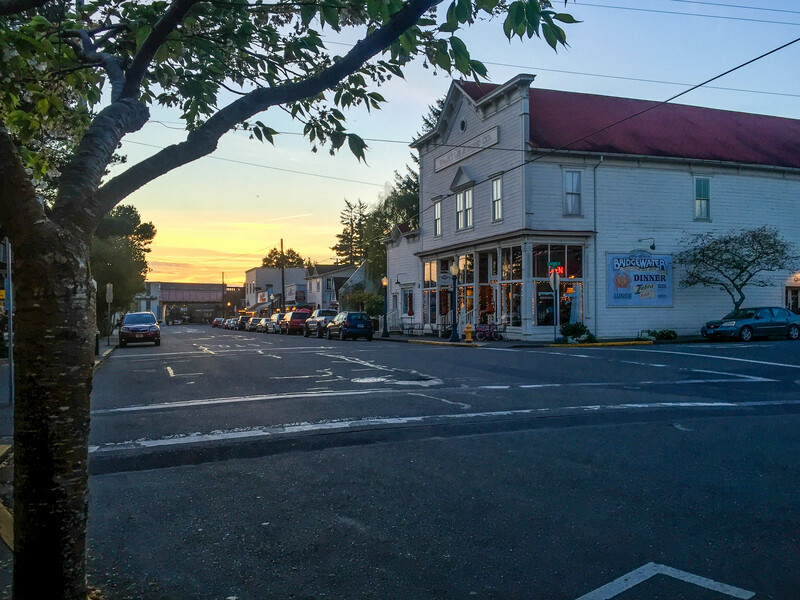 Located in Old Town off Bay Street, the Waterfront Depot backs up to the Siuslaw River and features great views and creative dishes. The menu fuses traditional Pacific Northwest food/seafood with an Indonesian flare. While it’s the food that keeps guests returning, the ambiance is also amazing. The restaurant is housed in an old train depot (that was found abandoned in Mapleton, Oregon), which brings historic charm to the restaurant’s modern and sophisticated menu. Tip: The restaurant is small so reservations are encouraged. If you visit during a summer weekend, you likely won’t be able to get in without a reservation. Personally, I consider Mo’s somewhat of a tourist trap. However, their clam chowder makes it worth a visit. 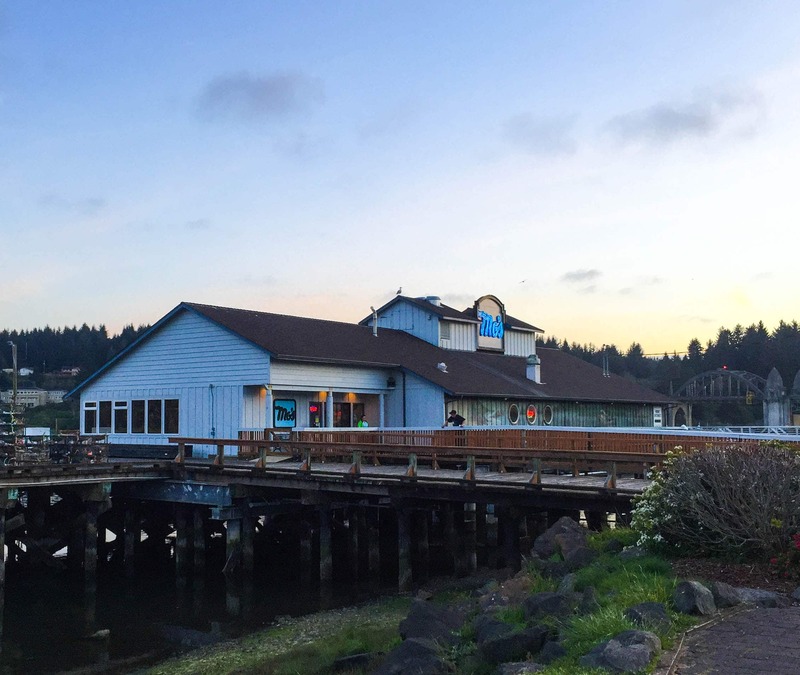 The restaurant is located on a dock on the Siuslaw River, and boasts beautiful river views from its large windows. Mo’s is one of Florence’s more popular restaurants and it’s generally crowded. Therefore, if you hope to get a seat by the window I recommend avoiding the lunch and dinner rush. Yes, it’s Mexican food (which I realize may seem a bit counterintuitive in a coastal town where everyone is looking for seafood). However, if you’re visiting Florence and find yourself craving some authentic Mexican cuisine, this family-owned restaurant is a must. Los Compadres doesn’t look like much from the outside, but don’t let its humble appearance fool you. Upon entering, you will find the small restaurant filled with locals, and the friendly staff and intimate atmosphere will quickly make you feel welcomed. If you’re looking for seafood, try the fish tacos or crab enchilada. The flavored margaritas and homemade salsa are also to die for. 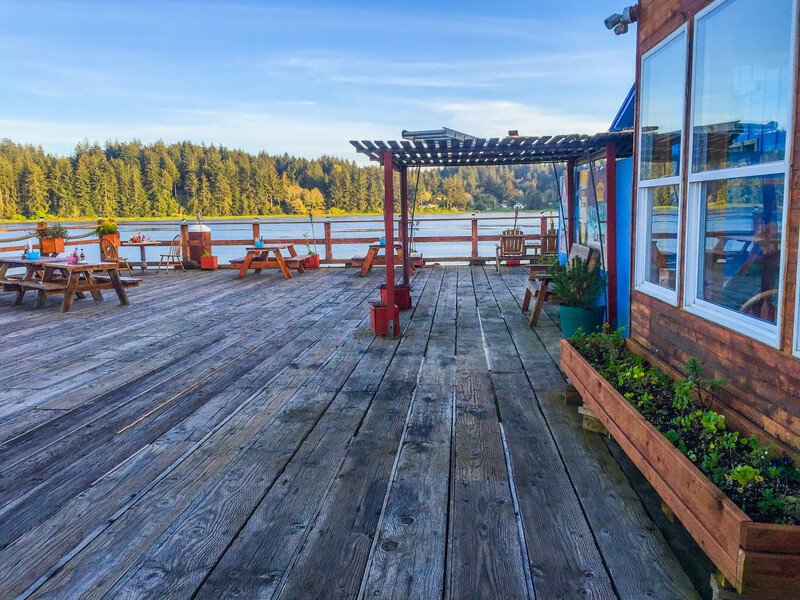 Located at the end of Bay Street by the boat marina, ICM (International C-food Market) boasts some of the best views of the Siuslaw River. The seafood-centric restaurant has a large, beautiful river-front patio for dining during warmer days, and 360-degree windows that offer beautiful views from everywhere inside the restaurant as well. Though the food is good and fairly reasonably priced, it’s the atmosphere that makes the experience. The patio is dog friendly and the river and marina views provide a beautiful backdrop to any meal. Most people either love ICM or they dislike it, and I will admit the service is generally not the best. However, the food is good (they have all you can eat crab!) the drinks are cold and you don’t need to battle 10 tourist families for a seat by the window (like you would next door at Mo’s). If you don’t go anywhere else listed in this blog post, be sure to go here. Everything about this coffee shop is amazing: the coffee, the food / pastries, the staff, the location, the view — you literally can’t go wrong. The coffee shop interior offers free wifi, plenty of seating and homy decor that will immediately make you feel welcome. 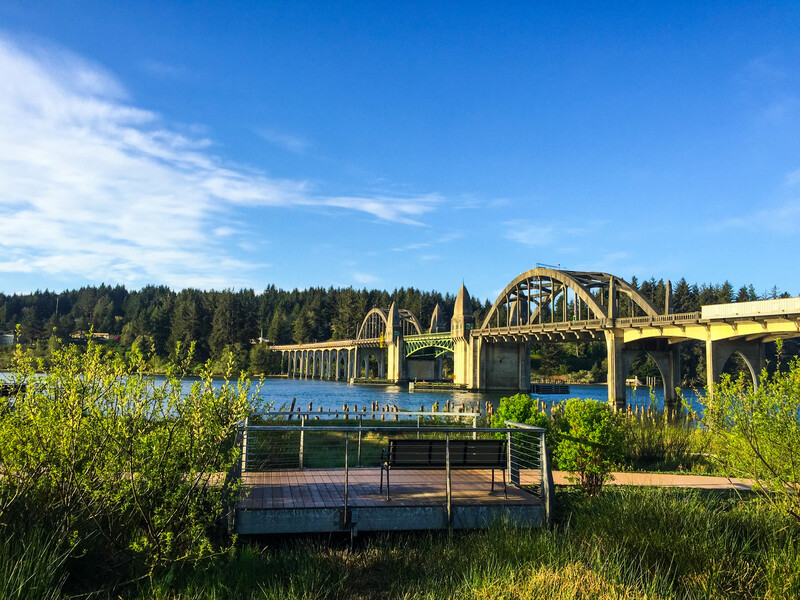 The back deck boasts beautiful riverside seating and gorgeous views of the Siuslaw River Bridge. My favorite bar in town, The Beachcomber Pub has been a Florence staple since 1926. 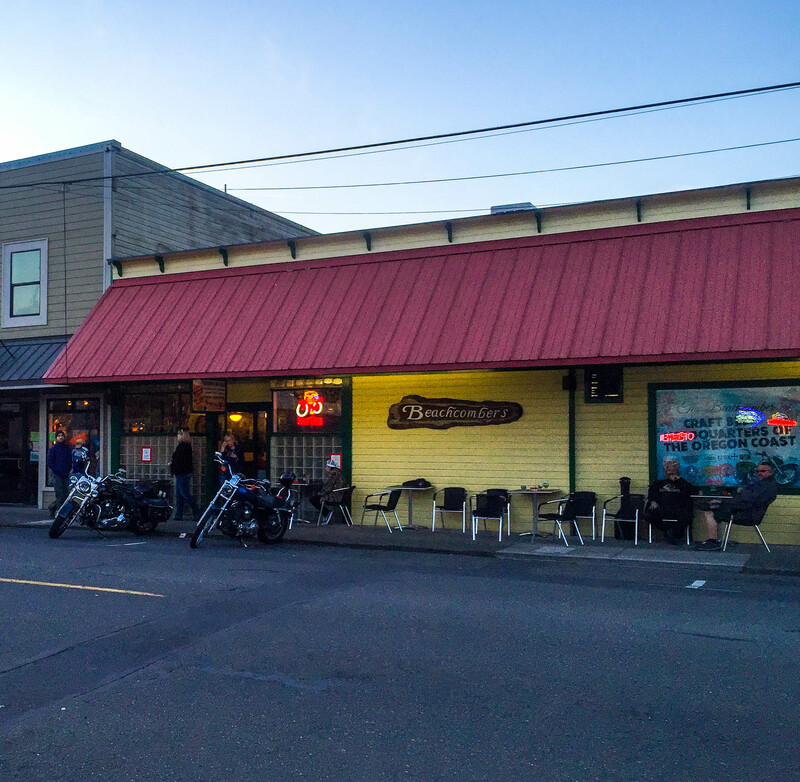 Located off Bay Street in Old Town, The Beachcomber (in true dive bar fashioned) is open for breakfast, lunch and dinner. Though this is a favorite watering hole for locals, the food is good and served later than most places in town. Stop in for a drink and enjoy a game of pool or shuffleboard. The bar at Three Rivers Casino is another fun spot to grab a drink. There’s generally live music on weekends, and you can carry your drink around the casino if you’re feeling lucky and want to gamble. 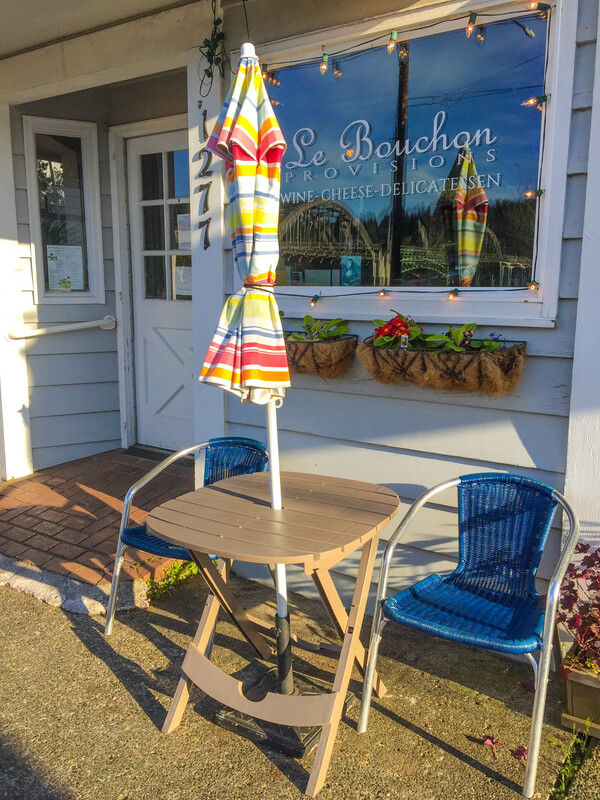 Delicatessen by day, wine bar by night, Le Bouchon is a great place to grab a glass of wine in a quiet, relaxed setting. Also located off Bay Street, Le Bouchon offers weekly wine tastings hosted by their wine advisor. They have a good selection of local wine, and also sell bottles as well cheese and charcuterie plates. Beautiful spot! I love the Oregon coast .. Passing thru Piryland now on way to Ca! Never been to Flirence .. Lovely pics! Florence is so beautiful! I haven’t been there in many years but this makes me want to load up the kids in the car and make the trip. Le Bouchon looks super cute! 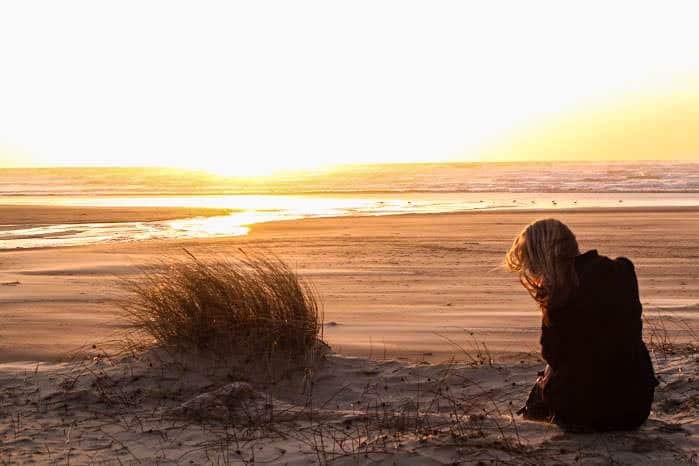 And what beautiful beach photos. Commenting from Burns, OR here! I actually went to go see ya’lls coast last summer and was so surprised to see how rugged it was. Pretty, excellent crabbing, but very much unlike my East Coast. We went to Newport, but this post convinced me that Florence is next on the beach-going itinerary. The Beachcomber sounds badass, I love a good pub. I wasn’t brave enough to drive the dunes myself when I was in Florence, but we went on one of the tours instead and it was thrilling since he was much more experienced and had all these great stories to tell! Looks like such a gorgeous place to visit! I used to live in Eugene, so whenever we went to the coast it was to Florence. I’ve never been to that gazebo park, though – I’ll make a stop there the next time we go to Florence! Riding the sand dunes sounds like so much fun! I have never been to Oregon but I would love to visit! I’ve never been to Oregon, but I’ll definitely keep this handy when we make it out that way. 🙂 Discovered you via the FB blogger group…looking forward to coming back again soon for future posts! Riding a horse on the beach looks fun! 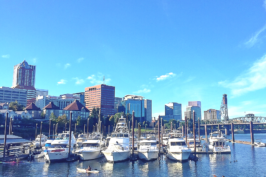 I’ve always wanted to visit Oregon and knowing there are great towns like this with so much to offer just adds to wanting to go! Now to hide this post from my husband otherwise he will want to move…which may not be a bad thing! I’ve never heard of Florence, Oregon! I love the small town feel and would definitely visit when I go back! Just bought a house there. Moving June 3rd. 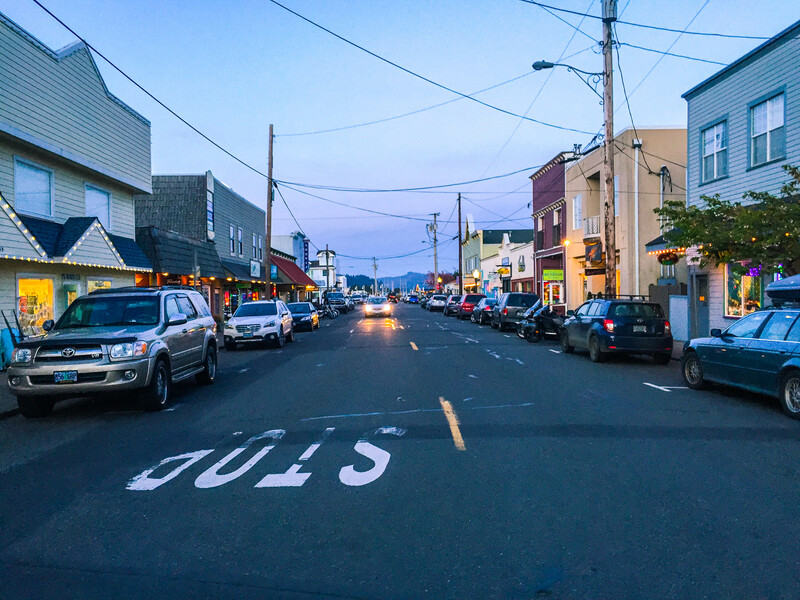 We are so excited to be living close to the beach, the river, 3 lakes very close to us and I love Old Town which reminds me of Carmel, which I adore. The people are wonderful. We got a flat tire (thanks for nothing Hertz) and the wonderful man at Les Schwab’s Tires fixed it for free! Go to the wonderful golf course, Sand Pines. The course is beautiful, the people who worked there were awesome and the food (casual dining and great drinks) was our favorite place to eat. Three rainbows in one sitting. We went during Winter and it was practically empty. This will be our “go to” place since we are so very close to the course. Christy served the best “Nudge” and was so friendly that we will probably adopt her as our most favorite person who serves food and just to visit for all her wealth of information about Florence. Ann how is it living inFlorence now that you’ve been there awhile? Thinking of doing the same thing!! I’ve never been to Florence, but those dunes look beautiful. And I love a great old town. I’d like to take hubby to this town for a weekend getaway! Florence is such a beautiful getaway! 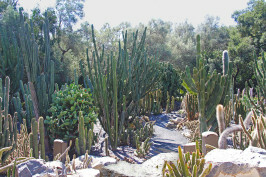 The last time we were there, instead of going the dunes alone, we took a guided buggy ride, and WOW! The guy driving really knew what he was doing! We would have never had the guts to get as aggressive on the hills as he was, and it was a blast! I’m not as big on guided trail rides and was never motivated to trailer our horses all the way down there for beach riding, but it sure looks like a great ride.